Blastoff! 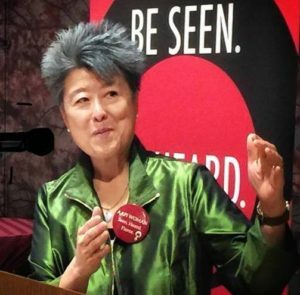 Helen Zia’s new book is now available! 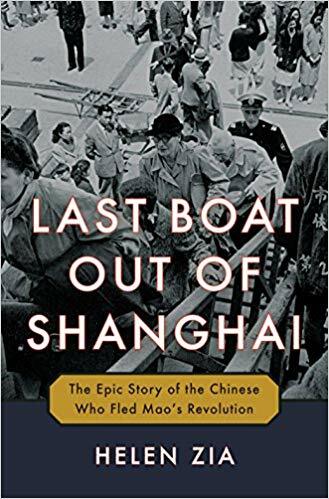 After twelve years of research and writing involving hundreds of interviews about this untold exodus, Last Boat out of Shanghai is now on sale, published by Ballantine/Random House. Last Boat out of Shanghai is based on the dramatic, real-life stories of a generation caught up in the mass rush out of Shanghai in the wake of China’s 1949 Communist Revolution, with startling parallels to the struggles faced by emigrants today. 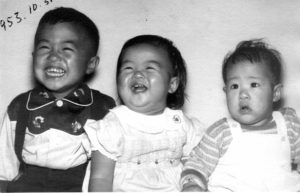 The chubby girl is me in 1953, when my mother was to be deported and my father was arrested–detained because, with the political upheavals in China, he had overstayed his visa. Even though that took place during the terrible McCarthy Red Scare, the Feds didn’t separate families or jail babies back then. I was lucky–with the disastrous anti-immigrant policies of today’s White House, kids are deported, locked up or sent to points unknown. For shame! Read on. My first published article (not counting high school pubs) was about health care in China–the topic of my college thesis. After quitting medical school and working in construction and in a car factory as a large press operator, I found my passion for writing. Some of those books and essays can be found here. I started participating in protests calling for peace and equality when I was a teenager and kept on moving. Over the years, I’ve been asked why I didn’t hold back as the “model minority” stereotype dictates, to avoid being the nail that sticks out. Here’s why: I’ve always believed that if you can possibly make a positive difference in this world, why wouldn’t any caring person do so? We have the power of our voices. If not now, when? Check it out.